Octubre 2012 | 6th GRADE - CLASS OF 2017-2018!! 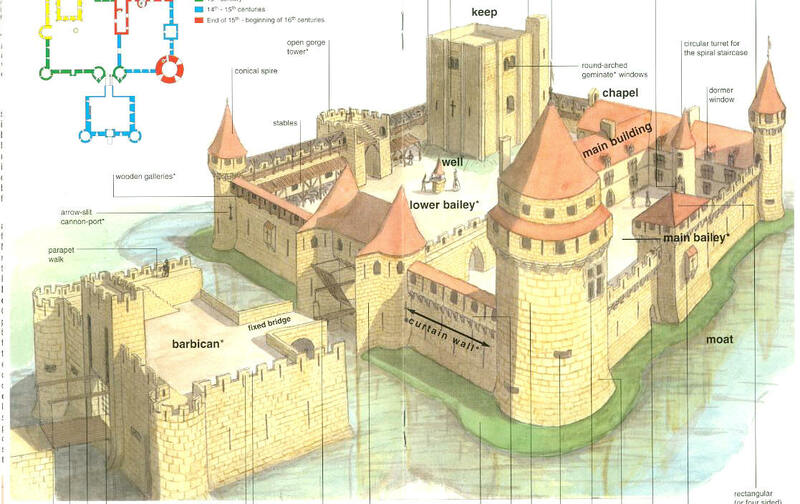 If you want to learn more about the parts of a castle, what they have inside them, and the people that live in a castles, and even make your own paper castle, click on the image below. 01/10/2012 11:28 miprimerzarzablog #. SOCIAL AND NATURAL SCIENCE No hay comentarios. Comentar. 1. The Middle Ages refers to a time in European history from 400-1500 AD. 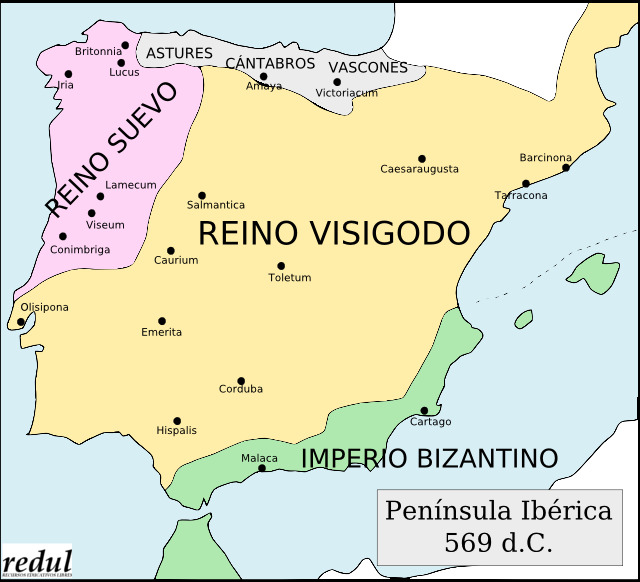 It occurred between the fall of the Roman Empire and the discovery of America (beginning of the Renaissance). 2. Historians usually divide the Middle Ages into three smaller periods called the Early Middle Ages, the High Middle Ages, and the Late Middle Ages. 3. During much of the Middle Ages, people in Europe were fighting against the Islamic Empire to take back the Eastern Mediterranean, especially Jerusalem, for the Christian religion. These wars were called the Crusades. 4. The Middle Ages was defined by a Feudal system in much of Europe. 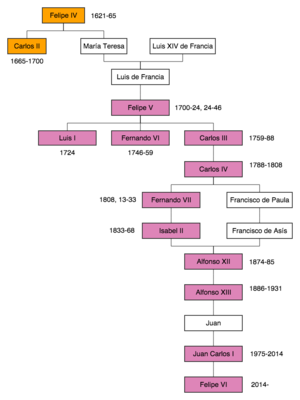 This system consisted of kings, lords, knights, vassals and peasants. The people who were part of the church played an important part also. When a person was born into a certain group, they rarely moved to another level. 5. The Feudal system was the law of the land, and the way that the upper class maintained control over the lower class. The upper class provided protection to the lower class and in exchange, the lower class worked for the upper class. The kings and lords lived in castles and were attended to by their personal servants, called vassals. The soldiers that fought for the king and lords were called knights. When conflict arose, the peasants would leave their fields and villages and come into the safety of the castle walls. 6. Kings ruled by what they believed was their "Divine Right". This meant they believed God made them the King, and their kingdom was passed down through generations. 7. Many fairy tales have their roots in the Middle Ages. When you read about castles and the characters that lived and around them, these stories are being told about this time in history. 8. Castles were built for the lords and kings who lived in them. The bigger and stronger the castle was, the wealthier the person who had it built was. The poor lived in huts made from sticks, straw and mud. 9. The church had a great influence over the people. The peasants believed that the harder they worked, the more of their money they gave to the church, and the more they served the church, the better the after-life would be for them. 10. By the early 1300s, however, Europe suffered from both war and disease. The wars were made much worse by the Black Death, or bubonic plague, which spread along the Silk Road from China to Europe starting in 1328, killing millions of people and causing the collapse of the Mongol Empire. By the 1400s, after the plague, Europe looked very different, and the wars were over, and Middle Ages were coming to an end. 04/10/2012 11:49 miprimerzarzablog #. SOCIAL AND NATURAL SCIENCE Hay 3 comentarios. 04/10/2012 20:49 miprimerzarzablog #. SOCIAL AND NATURAL SCIENCE No hay comentarios. Comentar. 05/10/2012 00:17 miprimerzarzablog #. SOCIAL AND NATURAL SCIENCE Hay 6 comentarios. 05/10/2012 12:42 miprimerzarzablog #. NOTICIAS No hay comentarios. Comentar. A nice video for a nice weekend. 12/10/2012 17:35 miprimerzarzablog #. NOTICIAS Hay 3 comentarios. 13/10/2012 10:22 miprimerzarzablog #. NOTICIAS No hay comentarios. Comentar. Many of the new ideas and attitudes that marked the Renaissance times were portrayed in art. A new idea called humanism put a focus on human interests, needs, and abilities. This new idea changed how artists painted their subjects as well as the choice of subjects they painted. Early Renaissance (1400-1479) - Artists learned by trying to emulate classical artists focusing on symmetry and creating the perfect form. This era featured such artists as Giotto, Masaccio, and Donatello. High Renaissance (1475-1525) - A rising interest in perspective and space gave the art even more realism. Great artists such as Michelangelo, Leonardo da Vinci, and Rafael flourished during this period. In the Middle Ages the subject of almost all European art was religion, specifically Christianity and the Catholic Church. Although Renaissance artists continued to paint religious paintings, they also branched out to other subjects including Greek and Roman mythology, historical subjects, and portraits of individuals. They also focused on the details of everyday life. 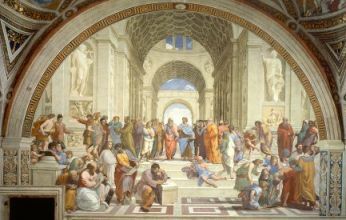 School of Athens by Raphael featured philosophers such as Plato, Aristotle, and Socrates. One of the big changes in art was to paint and sculpt subjects realistically. This is called realism and involves a number of techniques that make the subjects and background look like they would in real life. This also meant giving the subjects more emotional qualities. Many new techniques were introduced during the Renaissance. These techniques helped to enhance the quality and realism of the art. Perspective - perspective is drawing or painting a picture such that it looks like there are three dimensions. It gives the illusion that some objects in the painting are further away than others. Balance and Proportion - Drawing subjects such that they are the correct size when compared to each other. 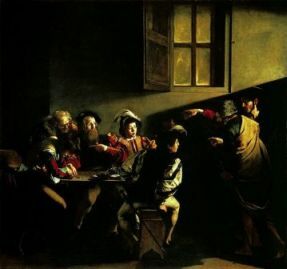 Use of Light and Dark - Many artists starting using light and shadows in their works to add drama, perspective, and timing to their art. Sfumato - This was a technique used by Leonardo da Vinci to add additional perspective and dimension to paintings. It was a way of blurring the lines between subjects. 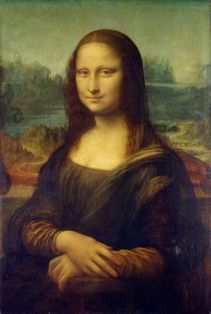 This technique was used in Leonardo’s Mona Lisa. Foreshortening - Another technique that added perspective and depth to paintings, foreshortening is a way of shortening lines to give the illusion of depth. See also Renaissance for Kids. 16/10/2012 14:21 miprimerzarzablog #. SOCIAL AND NATURAL SCIENCE Hay 2 comentarios. absolute monarchy: form of government where the king or queen has absolute power on all aspects of his or her subjects’ life. architect: a person who designs buildings. astrolabe: ancient instrument used by navigators and astronomers to determine latitude, longitude and time of day. It also determines the altitude of the Sun, planets, stars and Moon. 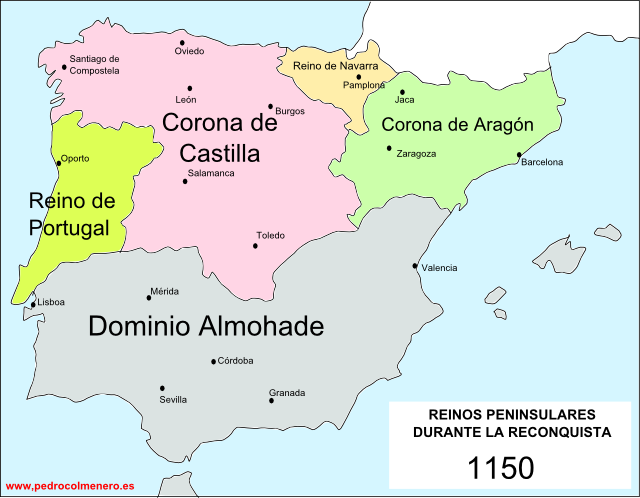 authoritarian monarchy: the politic system in which the kings in 15th Century have all the power. caravel: a light sailing ship with two or three masts and lateen sails used by the Spanish and Portuguese in the 15th and 16th Centuries. Classical culture: name given to the influence of Ancient Greek or Roman civilizations on language, philosophy, art… in the Renaissance. clergy: the official leaders of a religious belief. colonisation: n. the act or process of establishing colonies. compass: an instrument that is used for finding directions. It has a dial and a magnetic needle that always points to the North. craftsman: a man who makes things skilfully with his hands. decline: the period when something approaches an end. Discovery: the act of discovering a place or a thing. 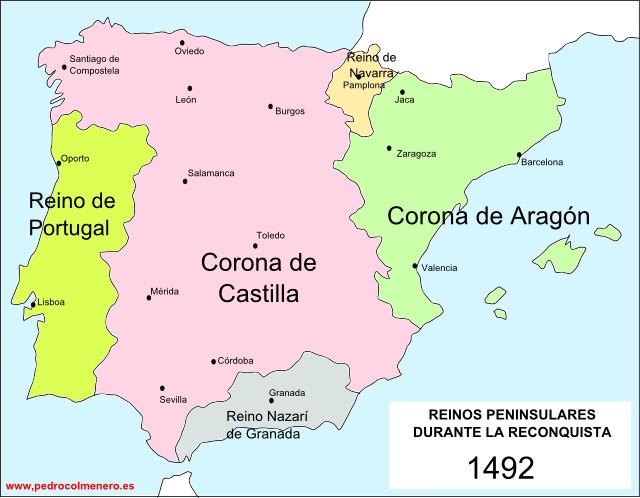 Golden Age: a flourishing period in arts and literature that took place in Spain during the 16th and 17th Centuries. literature: name given to all creative writing of recognised artistic value. Modern Age: the term used by historians to refer a period in the History from 1492 (Discovery of America) until 1789 (French Revolution). navigation: the guidance of ships from place to place. painter: an artist who paints. patron: a person who supports and gives money to artists, writers or musicians. peasant: a person who works on the land. portolan charts: European navigation maps based on realistic descriptions of harbours and coasts. Renaissance: means re-birth. A cultural movement that spanned roughly from the 14th Century to the 17th Century. It began in Italy and it later spread to the rest of Europe. sculptor: a person who creates sculptures. sextant: navigational instrument used to measure the altitude of a celestial object above the horizon and to determine its latitude and longitude. silk: valuable/delicate cloth made from the fine treads produced by certain insect larvae. spice: any of a variety of pungent or aromatic vegetable substances used to for seasoning food. 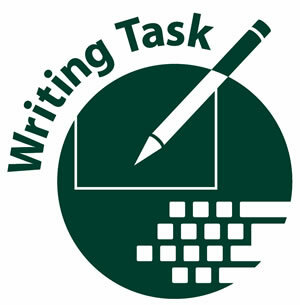 writer: a person who writes books, stories or articles as a job. The Enlightenment: a philosophical and cultural movement in the eighteenth century that stressed human reasoning over blind faith and encouraged scientific thinking. 16/10/2012 16:34 miprimerzarzablog #. SOCIAL AND NATURAL SCIENCE Hay 1 comentario. 16/10/2012 16:38 miprimerzarzablog #. SOCIAL AND NATURAL SCIENCE Hay 2 comentarios. 18/10/2012 20:06 miprimerzarzablog #. SOCIAL AND NATURAL SCIENCE Hay 1 comentario. An American film company is making a film in your area next month and they are looking for extras. Write a letter to the film company explaining why you want to be an extra and saying why you might be suitable. Ask for more information about the film. 19/10/2012 16:39 miprimerzarzablog #. ENGLISH Hay 1 comentario. 21/10/2012 18:50 miprimerzarzablog #. SOCIAL AND NATURAL SCIENCE Hay 2 comentarios. A number of major wars had taken place in the forty years leading up to the revolution. France used to always participate in the war and King Louis had to invest a lot of money in wars and the weapons. All this money came from the taxes paid by the 3rd estate. For example: the war with British: in 1756 the French fought with the Americans against British. This caused the government run low on money at a time when prices were high. This contributed to the overall causes leading up to the revolution because it outraged the peasants to be so burdened that they could not afford to eat. On top of that they had failed crops which further increased the price of the essential commodities. All this lead to unrest and food riots. In 1700, the price of essential things increased so much that the wages of the workers could not match with the price of the commodities. So the families could not afford food and other basic necessities with such low incomes. This is long term causes which lead to French revolution as there was a lot of discontentment among the masses. In 1787-88, the harvests were very bad due to very severe cold winters. Thousands of people suffered because there was not enough food. Angry mobs gathered in the streets. The women played an important role in the French revolution as these poor women of Paris marched to the king’s palace at Versailles to demand bread for their hungry children. This is one of the short term economical causes of revolution. In order to create funds for the war and to buy the weapons, the King Louis XVI kept on increasing the taxes which further added burden on the third estate as discussed in the other section. This lead to French revolution as the poor peasants could not cope up with theses taxes and could not do anything about it as they had no voice. They wanted to have a say in as to how the country should be run. the first estate mainly consisted of clergy. This was the Roman Catholic Church. They were the 0.3% of France’s population and owned about 10% of the land. On top of that, they didn’t pay taxes even thought they were one of the wealthiest people of France. The peasants paid 10% of their salary only to the Archbishops, Bishops and Abbots. The leaders of the clergy, bishops lived like nobles. The first estate contributed to the revolution but it was a short term cause. The Clergy took advantage of the fact that the king was so indecisive and non-judgmental. They thought that they could gain power by helping and advising the king when he would reach a dilemma. The greed for power contributed to the revolution because then the other estates wanted power as well. 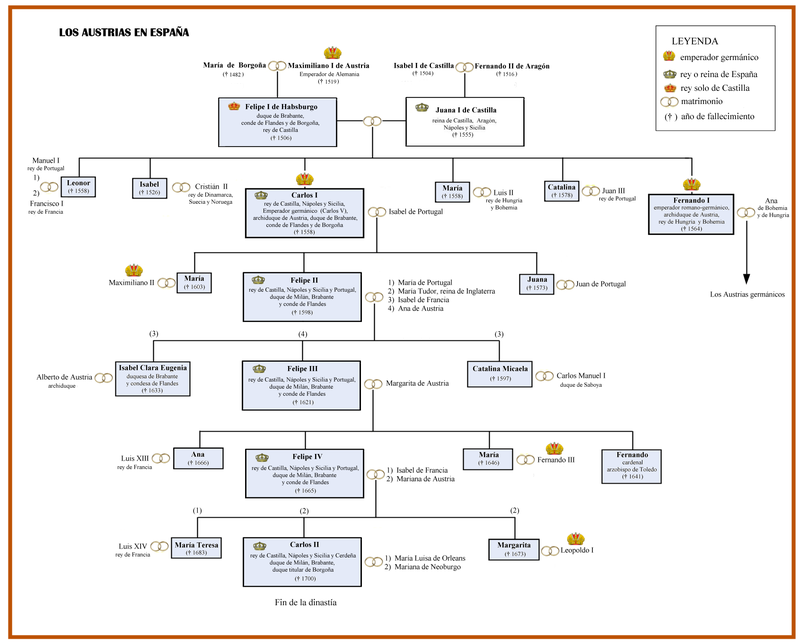 The second estates were aristocrats. They made up 1.5% of the population and owned 20% of the land. They didn’t pay taxes either. They often ordered peasants to work on their land and made them pay to use the mills. They were given control over other villages. They were hated by both the estates. They were hated by the first estate because the aristocrats had control over more land. They were well of and wealthy and on top of that they didn’t have to pay any taxes. Aristocrats were hated by the peasants because they used to be used as slaves. The second estate contributed to the revolution because they refused to help King Louis by not paying the taxes especially during 1787 when the money was needed to fund the war against the British. The second estate did not help King Louis XVI to bring about reforms in the taxation system. In 1783, Charles de Calonne (Controller General of Finance) suggested that the nobility should also pay the taxes. The nobility refused to cooperate which further increased the economic problems of France. The 3rd estate made up 98.2% of the population. The 3rd estate consisted of middle class and peasants. There were lawyers, doctors, bankers, soldiers, merchants, priests, artisans, urban workers and peasants. 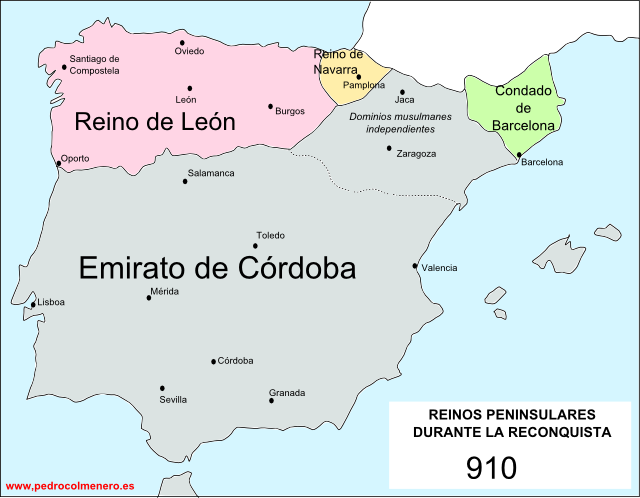 The majority of the third estates were the peasants. They owned little land. They used to be abused by the first and the second estates. They used to call the poorest members of the third estate sans-culottes. It was a term created by the French in 1790 to describe the poorest members of the thirst estate because they wore pantaloons instead of the more in fashion clothes. The taxation system prevalent in France was faulty as the poorest were forced to pay the maximum taxes. The 3rd estate comprising of mainly the peasants had to pay 1/10 of their salary to the church. This was known as “tithe’. There were many other taxes that they also had to pay. They paid the “taille” which was a sort of income tax. They had to pay “Seigneurial’ to the local landlord, or lord of the manor. These taxes were known as “feudal dues”. For example; the landlord would charge peasants heavily to use his mill to grind corn. Corvée (work tax) was paid for few days each year. Peasants had to work hard for the upkeep of local roads. Gabelle was a tax on salt. There was tax on salt since it helped to preserve food and “Aide” was a tax on bottle of wine. The third estate weren’t paid sufficiently and they had to pay so many different taxes. The revolution took place because there was unfair taxation. The poorest community of France was paying high taxes for multiple reasons. They paid taxes so that the aristocrats can live a lavish life. They paid taxes to fund the war. They paid taxes to save the economy of the country.They are the real heroes of the French revolution because they were the ones who took the first action which was known as the beginning of the French revolution. Because the peasants wanted new constitution, the trigger took place. They wanted power that’s why they took over the king and gained power. Population increase lead to the French revolution although it was a short term cause. The population increased dramatically in the 18th century. This caused peasants to become landless . This also meant that there was shortage of resources as they didn’t have surplus due to the poor harvest. Due to this reason the capable families worked really hard in order to feed their families and be capable of paying the taxes. This caused the revolution because it made the peasants want more land, money and power. The enlightment was a period of revolution; a time where there was a major shift in the way the people thought. People began to question, investigate, reason and find the logic behind the theories. They were confident as they were going against the church / questioning the church, and who ever did that was executed. The enlightment affected areas like POLITICS, ARTS, LITERATURE, SCIENCE and last but not the least RELIGION. People started having secular thoughts. People started becoming open-minded and were ready to accept the change. They made their own laws and customs and adapted reality. Due to this the people became more knowledgeable New political ideas were evolved which lead to a new view of a government. The government system changed. People wanted to have representatives government not one person ruling the country. They wanted to change their form of government form absolute monarchy to democracy. All the citizens wanted to share power. More universities and book were made. This also gave people a better sense of equality. There was a desire to change the society. The philosophers often gathered in Paris and other European cities. They discussed politics, science and society. They changed their ideology. They believed in secular thoughts, “SOCIAL CONTACT “and the “GENERAL WILL”. Social contact was a deal with people for the good, the right to elect, impeaching a president (anyone who has power) and general will was that people should have a right to choose their ruler. These ideas and thoughts lead to the French revolution as the people of France became more aware of their rights and freedom and liberty. This was the trigger and led to the revolution. Louis XVI tried to prevent the national assembly from writing a new constitution by locking them out of their meeting rooms. However, they gathered in an indoor tennis court. There they took an oath not to disband until they had written the constitution. This was a major event which started the revolution because we can see that the people have gone against the king because he didn’t let the people make laws and regulations. This also indicates that the citizens desired change badly that is why they took this action and took the oath that they will make a new constitution. The third estate declared themselves as the national assembly. There were three main demands of the peasants. The first one was that the peasants wanted Necker to return and become the finance minister as they knew that he would sort out the monetary issues. Secondly, they wanted new constitution, rules that would give the king less power and give the third estate a voice in the running of France. Their last demand was that they wanted to rule the country as they made the majority of the population. In conclusion, we can say that there were numerous causes which lead to the French Revolution out of which, most of them were economical. The revolution was imminent because the third estates were treated badly since they were abused, treated like slaves and paid heavy taxes when they couldn’t afford it. They didn’t have power either. The French revolution brought a sense of equality among the citizens of France and everybody shared power. All the causes of the French revolution are interconnected because one issue leads to a anther and piles up. And when all the causes pile up it becomes a burden and there is no way out, hence the majority wins and there is a new beginning. Like in this case, all the causes just piled up. When king Louis had no way out the wheel turned causing the majority to win, in this case the peasants and there was a new beginning. There was a new form of government, sense of equality and everybody had equal power. The political factors lead to the economical factors. 24/10/2012 00:35 miprimerzarzablog #. SOCIAL AND NATURAL SCIENCE Hay 2 comentarios. Write an article for a music magazine about a popular band. Say how long they have been famous, explain why a lot of people like them and give your opinion of their songs. 26/10/2012 14:05 miprimerzarzablog #. SOCIAL AND NATURAL SCIENCE No hay comentarios. Comentar. Why don’t you try to solve this webquest and learn a bit more about HALLOWEEN??? Bring your answers by Monday 5th November and you’ll get a surprise!! 28/10/2012 11:33 miprimerzarzablog #. FESTIVALS Hay 2 comentarios. 29/10/2012 10:22 miprimerzarzablog #. SOCIAL AND NATURAL SCIENCE No hay comentarios. Comentar. World War 2 involved most of the world’s nations which fought for either of two military alliances - the Axis Powers and the Allies. The key members of the Allies of World War 1 - France, Britain, Russia and the United States once again fought against Germany but they also had to fight against their former allies of Italy and Japan which joined the Nazi Germany. Just like World War 1, World War 2 started in Europe with the German invasion of Poland on September 1, 1939, which is traditionally viewed as the beginning of war. The Allied coalition also included all African countries except for Italian colonies of Somalia, Ethiopia and Italian North Africa (present-day Libya), and Spanish and Portuguese colonies of Mozambique, Angola, Spanish Sahara (present-day Western Sahara) and Portuguese Guinea (today’s Guinea-Bissau) which were neutral like their colonial rulers. Countries such as Italy which later left the Axis powers and joined the Allies are not considered Allied states. The Axis powers created a number of puppet states in occupied areas but they usually are not considered Axis states although some of them actively collaborated with the Axis such as the newly established Independent State of Croatia and the Slovak Republic. However, both of them ceased to exist after the end of World War 2 and were rejoined with Czechoslovakia and Yugoslavia, respectively, both of which were Allied states. 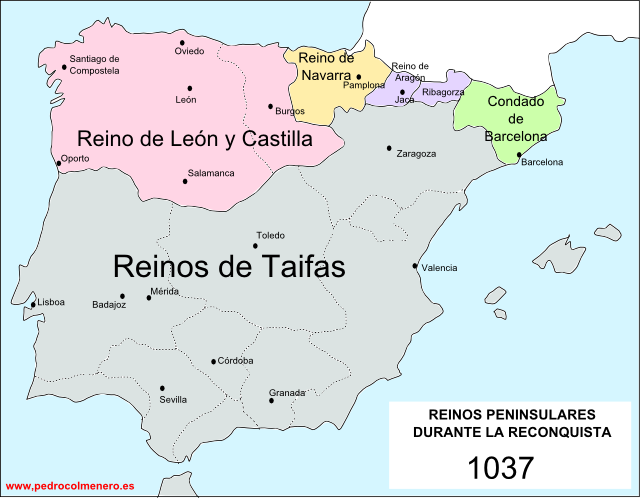 Tibet and the above mentioned Spanish and Portuguese colonies in Africa. 29/10/2012 18:06 miprimerzarzablog #. SOCIAL AND NATURAL SCIENCE No hay comentarios. Comentar. 30/10/2012 12:29 miprimerzarzablog #. SOCIAL AND NATURAL SCIENCE Hay 1 comentario. What year did the French Revolution begin? What were the consequences of the French Revolution? When did the Industrial Revolution begin? What social group did factory workers belong to? Which two countries had the most colonies in the 19th century? What did countries that were imperial powers want from their colonies? When was the First World War? What year did the Second World War end? Which two countries became superpowers after the Second World War? Why was the United Nations (UN) established? When was it established? What does “Cold War” mean? Which two cities were destroyed by atomic bombs? What is one negative effect of globalisation? How is transport today different from transport in the 19th century? Why are there lots of schools in Spain now? Why should all people be equal before the law? What does the legislative power do? What does the executive power do? What does the judicial power do? When were the three separated powers established? 30/10/2012 13:07 miprimerzarzablog #. SOCIAL AND NATURAL SCIENCE Hay 1 comentario. 30/10/2012 23:41 miprimerzarzablog #. FESTIVALS No hay comentarios. Comentar.